Plantation Shutters will typically have larger panels and having a single shutter panel covering a window up to five feet tall is not uncommon. 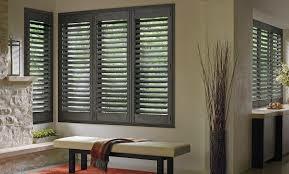 Plantation Shutters are one of the most popular choices for window treatments. They can be versatile and less expensive than custom draperies. These shutters will also increase the value of your home lifetime making them a window treatment that can be financed into the purchase of your home. 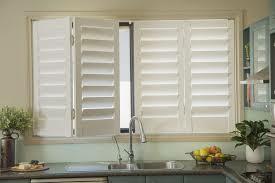 Plantation shutters are classic and highly desirable because they stay with the home when it’s sold. 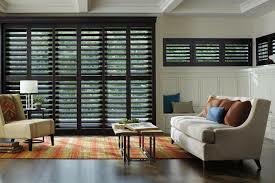 Plantation shutters are excellent for letting light in when you want to illuminate a room but also great for privacy. When you close a plantation shutter you’re completely blocking the window, something that conventional blinds and draperies do poorly. For these reasons, kitchens, bathrooms, bedrooms, dens and studies all make ideal places to put your custom-made shutters when installed by Diamond Custom Shutters Inc. If you’re looking to install window shutters in your home, visit our showroom and we’ll help you select the best option that suits your taste and budget. Contact DC Shutters for Plantation Shutters in Brampton, Oakville, Kitchener, Waterloo, Hamilton, Niagara, Toronto, Richmond Hill, Aurora, Newmarket, Ajax, Whitby, and Oshawa.